This post is sponsored by Udi’s®Gluten Free. All comments and opinions are my own. 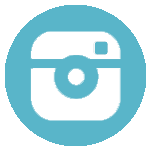 It’s a New Year and time to make changes and resolutions. My family and I have all made lists of New Year’s resolutions to start this year. My husband and I are striving to lose this baby weight from our newest addition. We’ve got big plans this January to make more time for exercise and healthier eating too. My kids have resolutions too. My son wants to wake earlier for school and be more organized and study more. My daughter wants to be a better student by being a better listener and talking less 🙂 She definitely inherited Mom’s gift of gab, and is having problems controlling the urge to constantly talk. My resolution for them (and myself!) 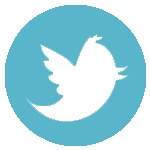 is for all of us to have a positive and joyous attitude every day. Last year, along with our healthier eating resolutions, we made the resolution to follow through with keeping my son on a gluten free diet. 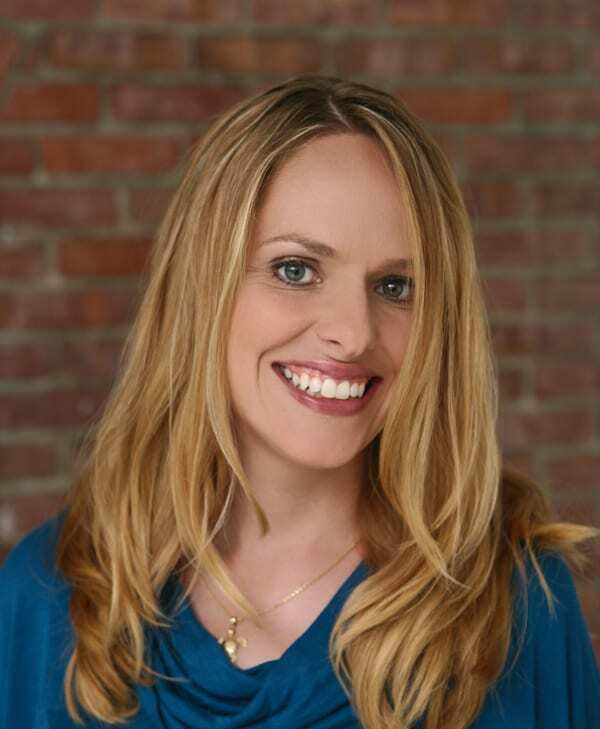 Going gluten free has supported his digestive system as well as supported more clear skin with less sensitivity. 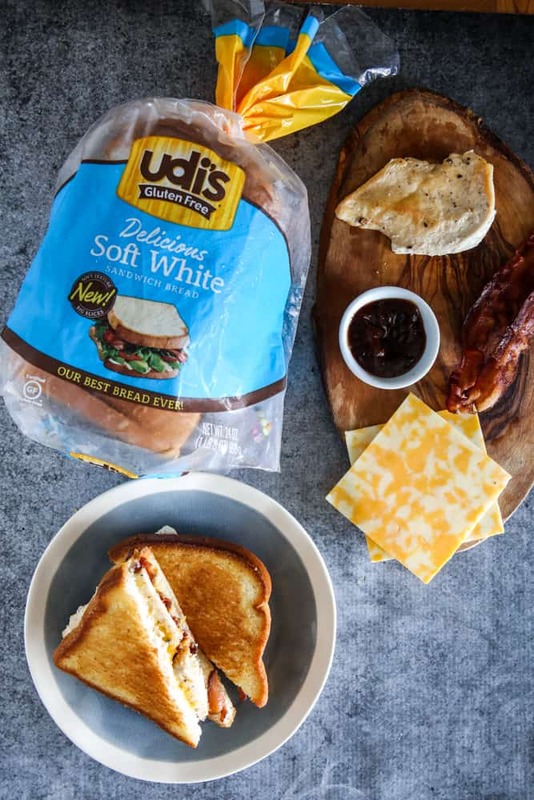 It’s been really easy to have him on a gluten free diet, especially when I buy Udi’s®Gluten Free Delicious Soft White Sandwich Bread at Publix. 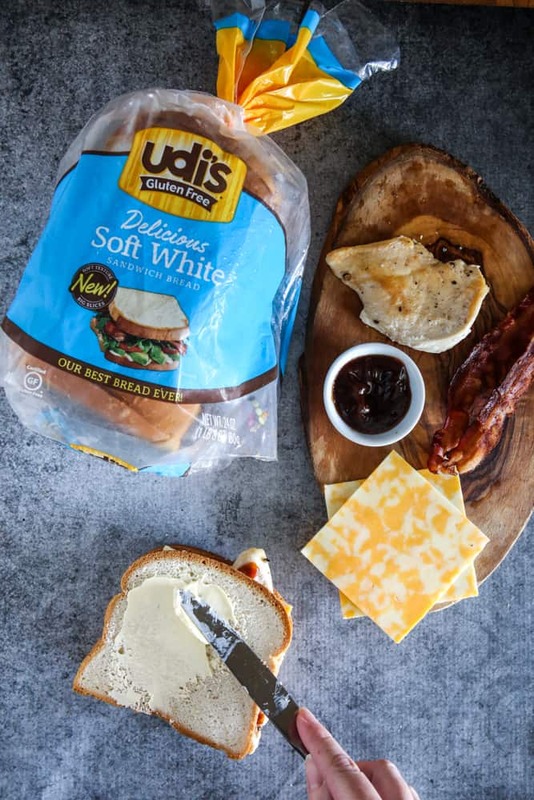 Udi’s Gluten Free bread is a delicious bread that my family loves. It has a wonderfully delicious taste, soft texture that kids love, and is just the right size. The size of the 24 oz bread is 30% larger, like other conventional sandwich bread. 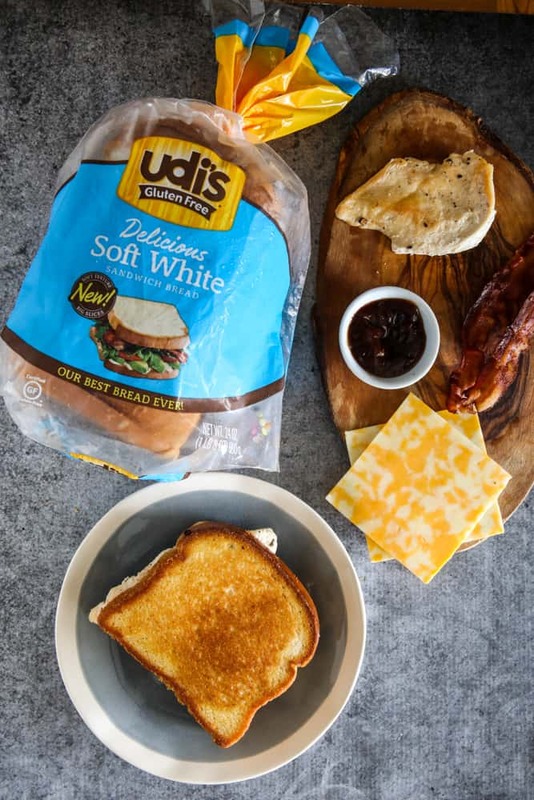 Udi’s is certified gluten free and also dairy and nut free! It also contains 8 grams of whole grains per serving plus other vitamins and minerals. 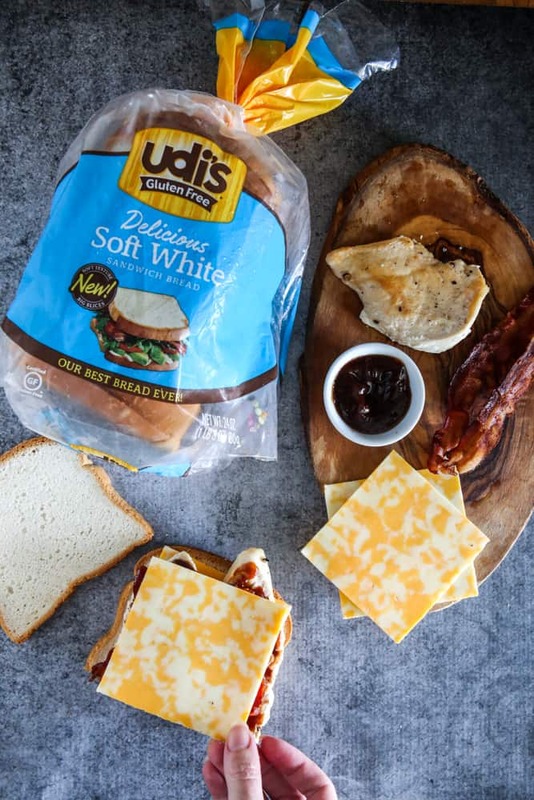 I love using Udi’s for sandwiches for both of the kids. 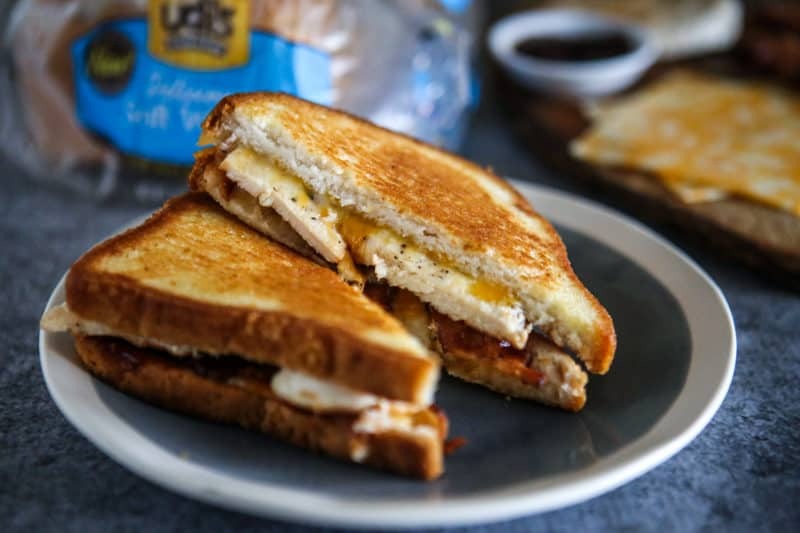 Its soft texture is perfect for kids and even better for amazing grilled cheese recipes like this Monterey Chicken Grilled Cheese. My kids love all kinds of different grilled cheese sandwiches. And I do too! There’s something so comforting about grilled cheese. 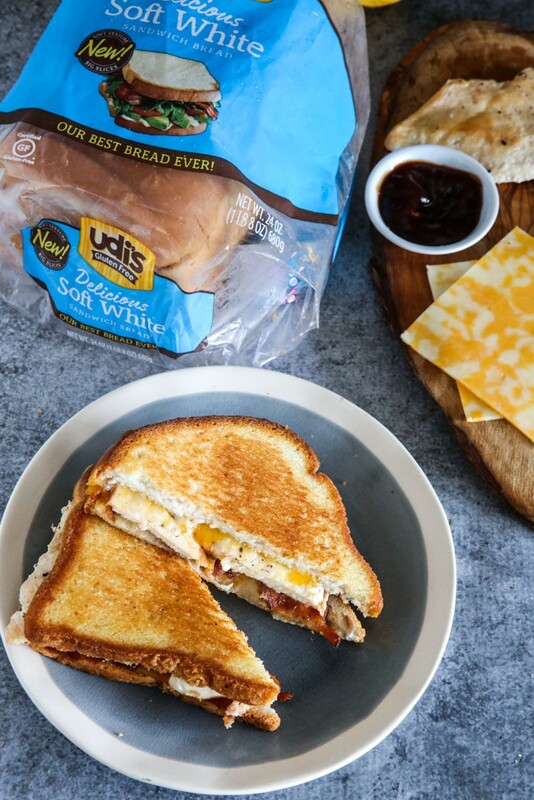 This recipe is one of my favorites because it combines everyone’s favorite Monterey chicken into a tasty grilled cheese sandwich! To start this recipe, I just use leftover grilled chicken with crispy bacon and BBQ sauce. Feel free to use your favorite BBQ sauce, or a homemade version. For the chicken, I like to use thinly sliced chicken that was browned in olive oil or grilled (I take one large breast and slice it in at least 4 slices). 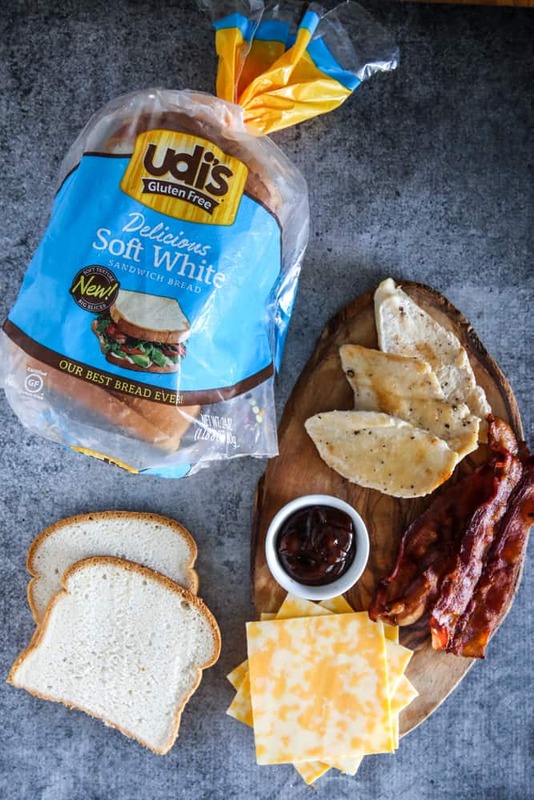 To assemble the sandwich, I take 2 pieces of chicken, 2 pieces of bacon broken into 4 strips, and a little BBQ sauce and place it on the Udi’s Gluten Free bread. Then I top everything off with Colby and Monterey Jack cheese. And butter the Udi’s bread before cooking it to a beautiful golden brown. This sandwich is the best. Who doesn’t love a good melty, cheesy BBQ bacon chicken dish? Yummy! I like to serve this sandwich with a simple salad for a quick and easy lunch, or with a nice vegetable soup for a hearty fall dinner that’s done in no time at all! 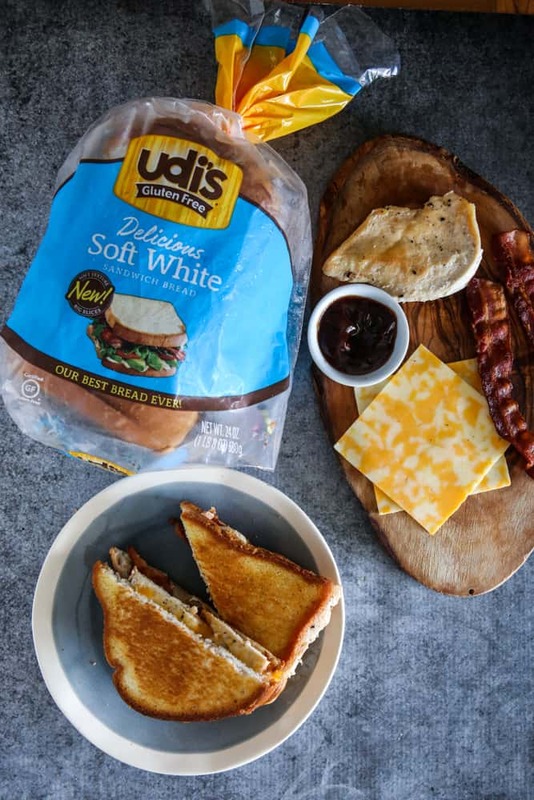 Udi’s Gluten Free makes lots of your other favorite foods too. 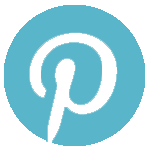 They have a variety of baked goods, meals, and snack options that everyone will love. 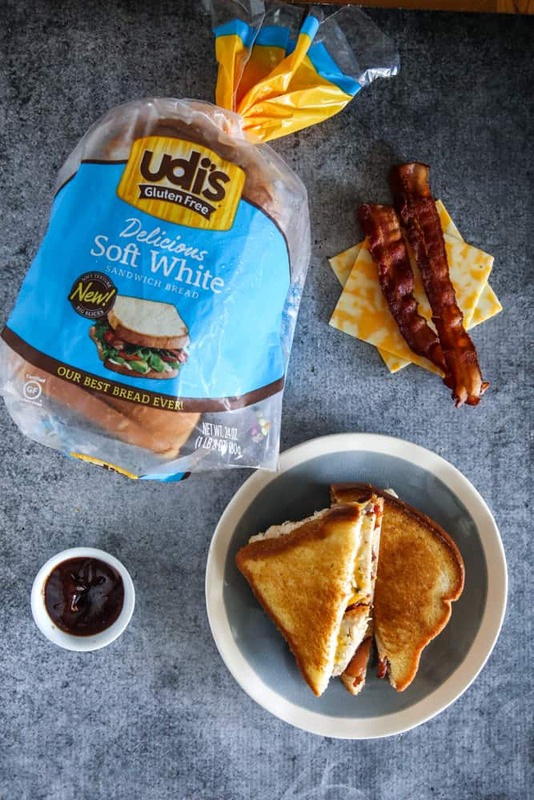 You can find Udi’s Delicious Soft White Sandwich Bread, as well as Udi’sGluten Free Delicious Multigrain Bread at your local Publix. 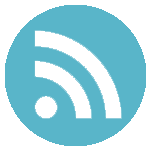 (Find it in the frozen/gluten free section.) 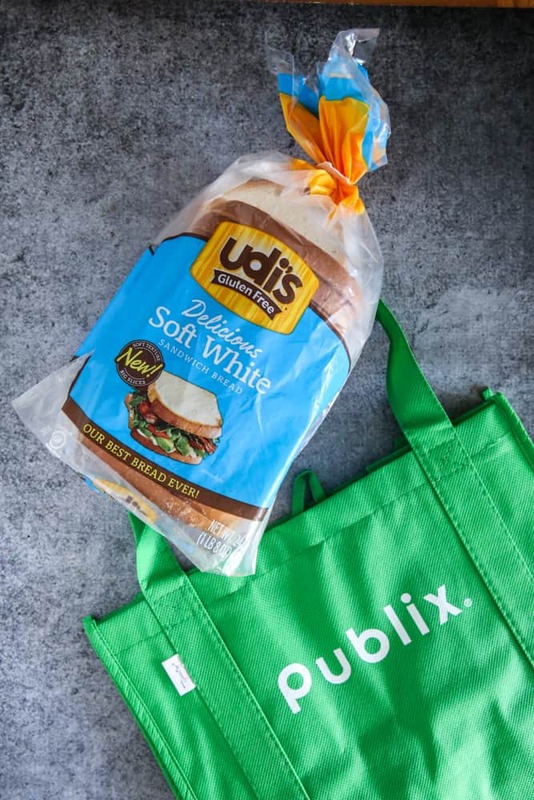 And from 1/6/19 – 3/10/19 (while supplies last), you can save $1.30 on Udi’s Gluten Free Bread at Publix! 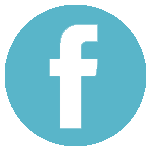 Click here for savings. Must be redeemed by 3/24/19. Assemble sandwich with Udi’s Gluten Free Bread, grilled chicken, bacon, Colby and Monterey Cheese and BBQ sauce. Heat medium skillet over medium-low heat. Butter sandwich and place in skillet. Cook on each side until golden brown and cheese has melted. Wow, thanks for the recipe! My whole family loves cheese sandwiches, especially my husband! He is developing techniques for DNA, RNA, etc on https://www.berthold-bio.com/. He loves his job and sometimes can forget to have lunch. These sandwiches are so good, he wants to test them, he’ll show you the equipment if you put a sandwich in it. Funny, right?